Intertwined with lavender and jasmine notes make this green tea a feast for the tongue! The superb green tea provides a lightly brisk finish to warm you inside and out. Each packet contains 3 “blooms” which will make 3-4 cups of tea. This is a beautiful tea to share with friends. Lovers 3 Flower blooming tea is a superb green tea blended with lavender and jasmine to provide a feast for the tongue. It provides a lightly brisk finish for a refreshing cup of tea. Luxury Ingredients: Green tea, Amaranth + Jasmine + Lavender flowers. Caffeine Content: Low. Packaged in a re-sealable foil pouch to keep them fresh. A stunning floral bouquet with light notes of lavender that help provide some depth and body to the early season green tea. 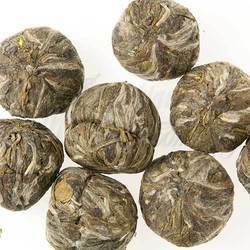 Each packet contains 3 “blooms” that make 3-4 cups of tea each. Share with friends and make new friends with this enticing tea. This exceptional combination of hibiscus and premium green tea provides a refreshing and cleansing cup of tea. Reminiscent of light lemon, this tea will help to improve your day. 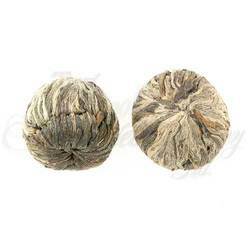 Each package contains 3 “blooms” which will make 3-4 cups of tea each.